New research from scientists using NASA's Spitzer Space Telescope suggests that a mysterious infrared glow across our whole sky is coming from stray stars torn from galaxies. 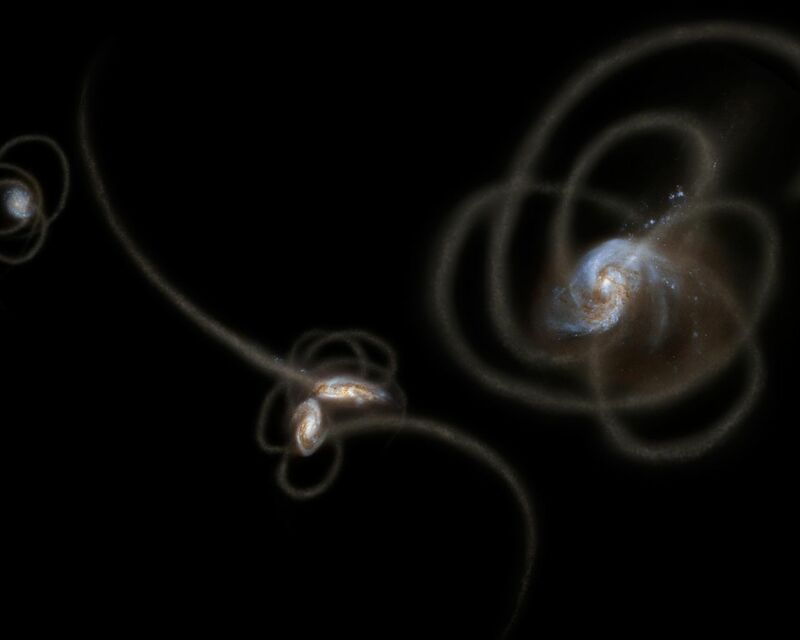 When galaxies grow, they merge and become gravitationally tangled in a violent process that results in streams of stars being ripped away from the galaxies. Such streams, called tidal tails, can be seen in this artist's concept. Scientists say that Spitzer is picking up the collective glow of stars such as these, which linger in the spaces between galaxies. 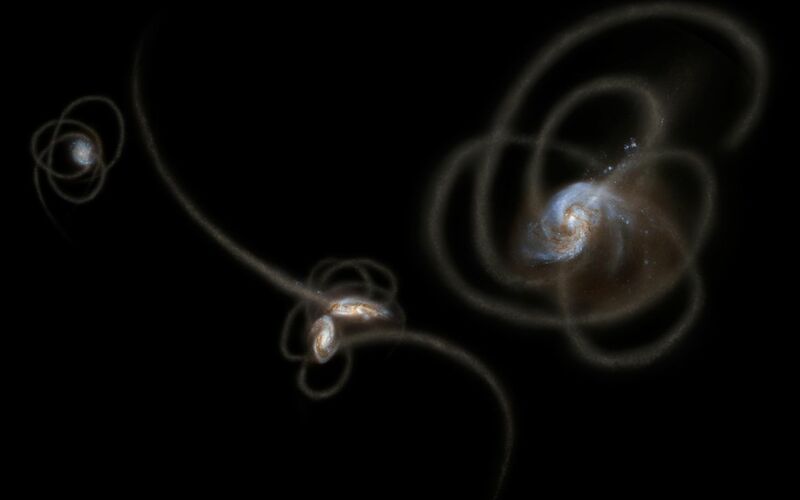 This artwork is adapted, in part, from galaxy images obtained from the NASA/ESA Hubble Space Telescope.